The education WordPress theme is engaging, entertaining, informative and inviting and has the potential to be your greatest ally in building a highly efficient learning website for kids as well as adults. The theme is the best fit for high schools, colleges, universities, coaching centres, primary schools, kindergartens, day care centres, e-learning portals, teaching academies and all LMS related websites. The design, colour scheme and fonts of this education WordPress theme are sure to create interest in studying. With options to stylize header and footer, you can add various widgets in there to let users explore full potential of your site. The education WordPress theme is responsive with fluid layout; loads smoothly across all browsers and translation ready to serve in national, international and local languages. It is customizable to its maximum capacity with great scope to change the colour, background, images, header, footer, menu, logo and numerous other elements of the theme. In the growing virtual world, social media icons will become your saviour to keep you in the run of modern websites. Multiple custom post types are available to accommodate different media types. Gallery can help you display your best work through pictures. 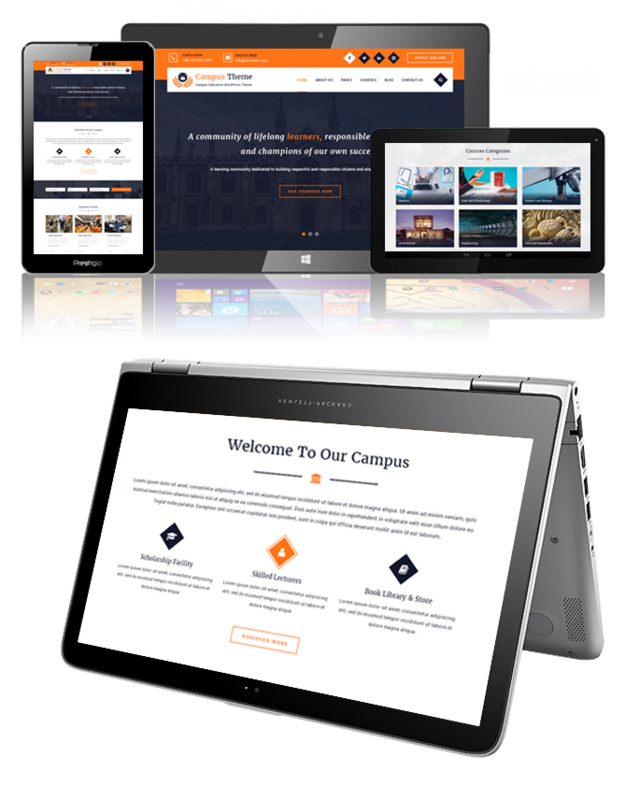 This education WP theme offers snappy support and regular updates for premium members. The themes are flexible and fit perfectly on devices of different screen sizes. The themes come with detailed documentation that ensures quick theme set up. The themes are carefully coded that helps in taking your site at higher ranks in search engines. The powerful theme options offer easy customization of your entire website within several clicks. With our multilingual themes, you can create your website in many languages. The homepage has a testimonial section that helps in building trust about your business. A variety of engaging fonts are available to make the site title, content, tagline, look more stylish.